Sharjah: Jonny Bairstow showed why he is one of England’s most admired cricketer through a whirlwind knock of 84 runs off just 24 balls studded with eight sixes and six boundaries to steer Kerala Knights to an emphatic seven-wicket win over Bengal Tigers. His knock has earned him the honour of the highest scorer of the T10 League. Fresh from his knock of 110 for England against Sri Lanka in the Colombo Test last week, he trashed all the Bengal bowlers with ease to ensure a victory with eight balls to spare. Despite his knock, Kerala crashed out of the tournament as they could muster only a total of five points. Bengal had posted 123 for 5 through Sunil Narine’s 52 runs off 25 balls with four boundaries and four sixes and Sherfane Rutherford’s 39 off 17 balls with four boundaries and three sixes. Kerala had won the toss and elected to field. Bengal got off to a breezy start with opener Sunil Narine hitting spinner Sandeep Lami chhane for three sixes to take 20 runs off first over. In the second over, Sohail Tanvir kept it tight to give away just seven runs and also claim the wicket of Luke Wright with the last ball of the over by having him caught by Chris Gayle for nine. Rutherford went for his shots right away and hit Wayne Parnell for two consecutive boundaries while Narine also hit him for a six. Rutherford also struck Benny Howell for two successive sixes and by the half way mark Bengal were 67 for 1. UAE’s pacer Mohammad Naveed and Indian medium pacer Reetinder Sodhi gave away 10 runs each from their overs. Narine reached his half century in 24 balls and fell to the next ball from Howell. Nabi, the hero of Bengal’s win over Sindhis fell for a first ball duck, caught and bowled by Howell. Run flow of the Bengal team too dipped with the sudden fall of wickets. Bengal’s 100 came in 8.2 overs through Rutherford who hit two boundaries in a row off Parnell. Rutherford also smashed a six to backward square leg. With the fourth ball, Parnell bowled Rutherford for 29. Kevon Cooper lifted Naveed for a straight six off the first ball of the last over but kept the remaining deliveries under control. In-form Kerala opener Paul Stirling hit opening bowler Mujeeb ur Rehman for two straight boundaries but Nabi had him caught by Cooper at long on for 10. Eoin Morgan fell to the first ball from Nabi that beat him to hit the stumps. Jonny Bairstow got beaten with the first ball he faced but hit the next two to the ropes. In the next over from Mujeeb, Bairstow he hit two fours and a six. Rutherford dropped Gayle on the long on boundary off Aamer Yamin and gifted him a six too. However, Narine got Gayle out for 19 while attempting another big one only to be caught by Cooper at long on. Bairstow continued to hit and lifted Narine for his second six to mid-wicket. At the half way mark, Kerala needed 57 more runs. 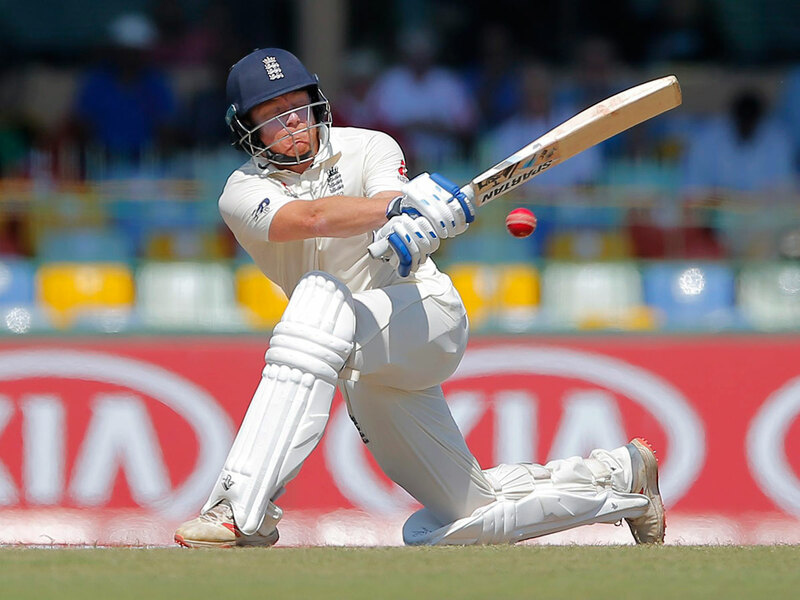 Bairstow hit Zaheer Khan’s first delivery to a six over backward square leg and scooped him to third man for a boundary. He reached his half century in 17 balls when he hit Narine over long for his fourth six.